Celebrating 32 years empowering ‘girls with goals’®. June 15, 1985. What began as an enrichment program for girls at a Philadelphia church has grown to five chapters in three states, and helped more than 8,000 girls of color from all zip codes achieve their goals and become productive citizens and leaders in their communities and careers. While enrolled in Teenshop, no girl drops out of school or becomes a teen parent, and all graduates matriculate to college. Teenshop was founded by Emmy Award-Winning journalist Elleanor Jean Hendley, while she was working fulltime at CBS 3 TV as the education news reporter and talk show host/producer of City Lights, a prime time week-end magazine show. Ms. Hendley wanted to share her time, talent and treasury to make a difference in the lives of teenage girls. As a former New Jersey public school teacher who created and directed an award-winning after school dance and charm club, Ms. Hendley knew firsthand how extra-curricular activities build self-esteem and help students achieve. The Teenshop curriculum is an innovative series of life skills workshops, college preparatory initiatives, and community service projects. Ms. Hendley had never considered expanding the program beyond her former church home, but interest quickly grew, and after years of repeated requests, a new chapter was affiliated in 1990. There are currently three Philadelphia chapters, one in Los Angeles, California, and one in Camden, New Jersey, each under the leadership of five outstanding female volunteers. 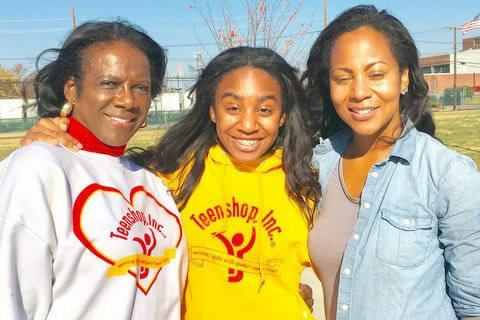 More than one hundred and twenty-five girls enroll annually, and through the years, Teenshop alumnae, now successful working women, have returned to assume leadership positions in their former chapters. 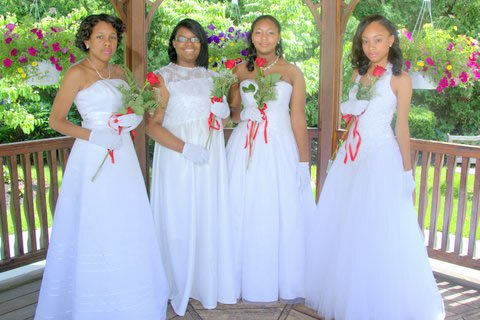 On June 13, 2015, Teenshop celebrated its 30th Anniversary with a Debutante Cotillion held at Drexel Brook Caterers in Drexel Hill, PA. During the years, Teenshop has received numerous awards and been featured in national publications including the Los Angeles Times, Ebony, and Ms. Magazine. Teenshop’s successful efforts empowering girls of color recently attracted the support of two of the largest foundations in the world. 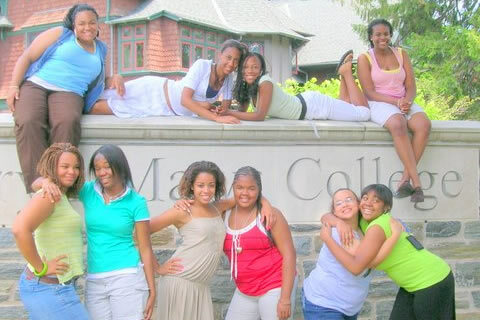 In 2016, the program received a $50,000 grant from The Coca Cola Foundation, which is earmarked to support and expand Teenshop’s college preparatory initiatives that include campus tours and a residential summer college program at Bryn Mawr College in Montgomery County, PA. The Comcast Foundation also provided a grant of $25,000 to help ensure that students successfully matriculate to college. “Teenshop has survived the test of time. The young women who participate in Teenshop are smart, ambitious and totally goal-oriented. It has been my honor to be a part of Teenshop, serving as a mentor, serving as counsel to the Founder and the Board of Directors, and serving as an advocate for the organization in the wider community.